Wish to Retire? Here's how to Make It Possible! Retirement is something we all plan to do … one day. Are you just beginning to dream of your “one day” or perhaps you’ve already reached your “one day”, and you are retired like we are? My wife and I retired in October 2016, and we are truly living our dream, but it’s not without challenges. We created this website so that can help others in the dream phase or in the reality, or somewhere in between – especially those facing financial and other challenges to their dreams. It is our hope that the content and offerings we provide will be of benefit to you or someone you know. We would encourage you to share this website with your friends or anyone you know who may be starting the dream phase of retirement. So let’s begin with the dream phase. When You Dream of Retirement, What Images Come to Mind? TRAVEL. If you’re like us, travel is certainly high on the list. While working, it was hard to find time to get away, and if trips were possible, they were likely not over long stretches of time; perhaps a long weekend here or there. 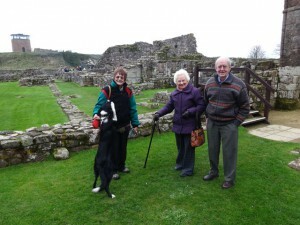 So what do you see for yourself in terms of travel in retirement? Maybe a trip to Europe, to Sweden (my heritage), to the Holy Land, to Japan, to Africa for a safari, or Hawaii to lay on the beach, etc. That list is never-ending for us! There are so many places we’d love to see. And, in addition to new places to explore, travel can include visits to children, grandchildren or other family members. QUALITY TIME. While we’re busy working, our spouses and loved ones often get the “leftovers” of our time. In retirement, we will have more time to devote to each other, to spend with grandchildren, family and friends. Wouldn’t it be great to take a day and do absolutely nothing but spend with your spouse. While working, even time off was often filled with chores, errands and other time consuming activities. In retirement your time is more flexible and you can be intentional about spending it the way you want to. RELAXATION. Perhaps you work life was full of stress, travel, interaction with others, etc. You are dreaming of a retirement where you can take it easy, lounge on the beach, pick up a good book and just get lost. After so many years of hard work, and not really taking any time to relax, making “me” time sounds pretty enticing, doesn’t it? PURSUE A HOBBY. Have you always want to paint or learn photography? Maybe you have the makings of great book and want to write and publish it. How about learning to fly a plane or taking dance lessons. What have you always wanted to do? Think about it. My wife teaches piano, and one of her students is old enough to be her father, but he has always wanted to play the piano, so now he is in retirement. TAKE A COURSE. Maybe you’d like to pursue a new academic interest. There are so many on-line courses and ways you can keep your learning going. My wife and I are regularly attending webinars, taking on-line courses, and will soon be offering our own courses on-line. It is a good idea to keep the brain active, and what better way than by learning something new. There are so many wonderful options. Other dreams may include volunteering to give back to your community, building a new business, or starting a non-profit. Doesn’t retirement sound delightful? Realistically, However, There Are Huge Challenges Too. MONEY. The dreams above cost money, maybe more than we can afford. And that raises a host of questions. Are our dreams realistic? Travel is expensive. Have we saved enough? We took some economic blows earlier in life. How big an impact will they make on our standard of living in retirement? Has sufficient time passed to make a comeback? When will we be able to retire? Social Security alone certainly won’t finance our dreams, if we can even count on it being there for us. Do we need to plan to work a few more years or keep working part-time in retirement. Then there’s the mortgage. We had every intention of paying it down faster, but life happened, and that thirty year mortgage is still hanging over our heads. And even when the mortgage is gone, taxes, insurance, and medical expenses seem to take a larger chunk of our income each year. Will our income grow with inflation, or will we find ourselves living on a fixed income with ever increasing expenses. You will find articles on this website that address the role of money in retirement, and we hope to provide you with some good ideas and ways to implement strategies to maximize your retirement income. If you live paycheck to paycheck, or if your company doesn’t offer pension, take a look at some of these articles. HEALTH ISSUES. Thankfully we have our health, but that could change on a dime. As our bodies age, medical problems will also start to happen with more frequency. Health care costs are skyrocketing! 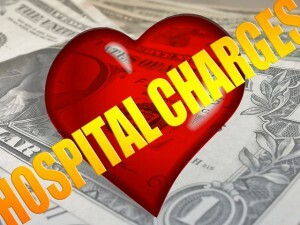 Along with medical problems comes the cost of medical insurance, medical co-pays and prescriptions. How do we respond? Do we have enough insurance or reserves set aside for health care? We should be finding way to stay fit and eating healthy long before we retire. Sometimes that’s hard to do. In fact, before we retired, we were not eating well at all. Let’s face it, processed food is more convenient, and when you have a stressful day followed by meetings into the evening, a quick ready to eat meal was often on the menu. Since being retired, my wife and I are delighting in very healthy eating. Fruits and vegetable adorn every meal, and we have both shed pounds. Exercise is also key in keeping health issues at bay. Adopt a healthy lifestyle as soon as you can, so it will follow you into retirement. Once retired, you’ll find that every time you turn around, someone you care about will be diagnosed with something. 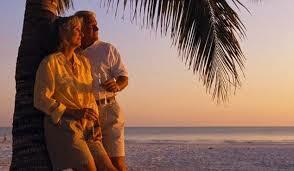 Those unplanned diagnoses can quickly bring an end to your best laid plans for a smooth and enjoyable retirement. Be prepared with good health insurance. Of course, there are several possibilities. You could scale back your current lifestyle choices in order to prioritize saving for retirement. You could scale back your retirement dreams to fit the reality of the income you will receive from Social Security and existing pension or investment plans. You could plan to retire later in order to increase both Social Security and retirement savings. You could plan to work — at least part-time — after retirement. What if you could develop another income stream to help finance those dreams? You’ve always been a hard worker and enjoyed the challenge of growing a business. You’re motivate, educated, optimistic, and action oriented. You have a lifetime of business experience and expertise. Developing another income stream might just be the key to making your dreams a reality. To learn more about this option which could dramatically improve your own retirement years, check out my article about Ways to Make Money Online. Please share your questions, as well as your own retirement dreams and challenges, in the comments below. Found you on twitter, and stumbled upon the link to this website, making me realize that yes 1. Motivation is the key, 2. Attitude makes the difference, 3. Have realistic goals 4. Believe in yourself – you do have what it takes. Thanks for the kind words. We’re always glad to be of help. I really appreciated this article. As our own parents are heading to this faze in life – retirement is often spoken about. I liked how you spoke about the dream. It’s dreams that make things happen. As you are into travel – you should definitely put Victoria Falls Zimbabwe on to your bucket list! Thanks for sharing this information. Thank you! I understand Victoria Falls is very beautiful. Follow your drdeams! Wow, this is a great post especially if you are a person of a certain age, which I am. I think many of us take life for granted, and don’t really focus on the fact that at some point we will be forced to slow down and have to live a different way — so plan ahead. I love all your details and how they truly relate to real life, as well as the fact that you share your personal story. Thank you! I also like your response to the question Aisha asked about how your online ventures were going. Thanks, Eileen, and God’s blessings to you as well. In our day and age, it’s so important to really think about priorities. What are our priorities? It’s really never too late to re-evaluate one’s situation and try to change things accordingly. With all that’s happened in the past decade with the financial crisis here in the US and many other situations, people are really on the defensive when it comes to their retirement, and rightfully so. For so many people, a modest increase in their income would dramatically alleviate the tension they have regarding finances. Thank you for your hard work in putting together this website to help others. I hope everything works out very well for you! Thanks, Bryan. Sad to say, I’m finding many baby boomers with a defeatist attitude regarding even the possibility of retirement. I’d like to bring some hope by considering new possibilities for retirement income. I enjoyed reading your passage on retirement dreams and challenges, you brought up points that are on the minds of a lot of people. I for one hope that I will have a comfortable retirement but it does come down to your income and the unexpected challenges that come up. How do you feel your online venture is coming along? I think to get more people to look at alternative modes of income they need to see how it is working for others and if it works at all. Thanks for your comments, Aisha! Yours is a good question and not simple to answer. There are several predictable stages that online businesses go through before becoming profitable, and it’s hard to predict which will really take off, so to speak, versus those that make a more modest profit. As for me personally, I’ve built my basic sites; now I’m in the stage of optimizing them for search engines and building traffic. Many, who have already developed a strong traffic flow, have found affiliate marketing to be very profitable indeed! Great questions, and yes, we all dream about retirement which I have taken a early retirement and trying to find work that will keep me home so I can take care of my granddaughter is very difficult. I have tried a few of items listed such as sell on craigslist (who hasn’t), sell on ebay, I have even tried to do garage sells close to home that are on facebook now so get a few hits now and then. No big money in those areas so that is why I also came to WA hoping to find a niche that will bring in a little money for me to help fill the gap and have money to spend on my family, vacations etc. I know it will happen just need more time and a great Niche to bring in traffic. My main dream if money is no object is to trail to the Holy Lands and also to one of long time dream country of Australia. Dreams do come true if you don’t give up. Thanks for your comments! I hope that you will persevere and develop the income stream you need to fulfill your goals.